Russia's Aerospace Forces will continue to lend support to the Syrian forces in their fight against terrorists despite the major withdrawal of the Russian military from Syria, Kremlin spokesman Dmitry Peskov said Monday. 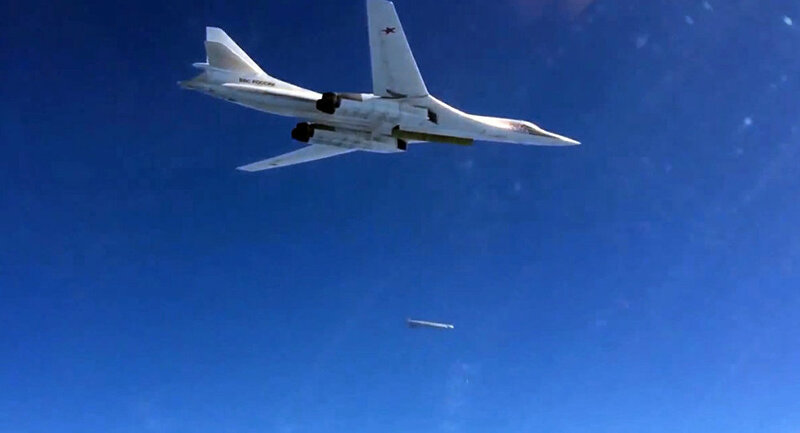 MOSCOW (Sputnik) — The operation by the Russian Aerospace Forces has greatly contributed to the combat and emotional potential of the Syrian armed forces, which have managed to make serious advances in their fight against terrorists, according to the Kremlin spokesman. "[Russian] President [Vladimir] Putin has repeatedly noted that even after the withdrawal of a part of our contingent, a significant part of our contingent, from Syria, remaining units of the Aerospace Forces at the two facilities of temporary deployment <…> will continue to fight against organizations designated as terrorist by the UN Security Council, and will continue to support Syria's army offensive," Peskov said. On Sunday, the Syrian army, supported by militias and the Russian Aerospace Forces, recaptured the historic city of Palmyra, which had been under Daesh (a terrorist organization outlawed in Russia) control for about a year. Earlier in March, Putin ordered the pullout of the bulk of the Russian contingent in Syria after the campaign's objectives had broadly been completed. Following Putin’s announcement of the withdrawal, Moscow said that some Russian military personnel would remain at the Hmeimim air base as well as the naval base at Tartus to observe the implementation of the ceasefire in Syria.